Friday, November 22, 2019 10 a.m. to 7 p.m.
Saturday, November 23, 2019 10 a.m. to 4 p.m. 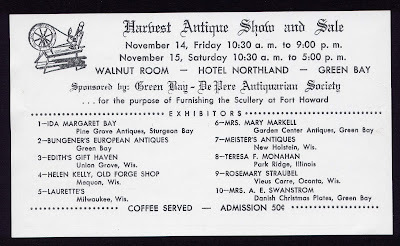 Since 1957 the Green Bay & De Pere Antiquarian Society, Inc., a non-profit 501(c)(3) organization, has hosted yearly antique shows to fund community grants for the preservation and restoration of Green Bay area antiquities and artifacts. 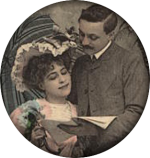 The Society houses its collections at local museums and institutions in Brown County, including the Green Bay Catholic Diocese Museum, Heritage Hill State Historical Park, Historic Hazelwood, the Howard/Suamico Historical Society, Kellogg Bank, The Neville Public Museum, Nicolet Bank, the Pulaski Area Historical Society and White Pillars Museum. * Raffle with quality items - Think: Holiday Gifts! 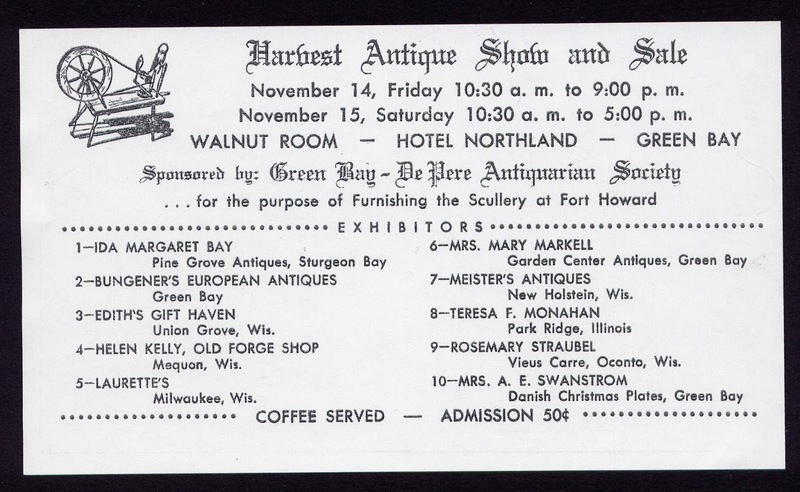 Our first event in 1957 was called “Antique Show & Sale” and was held in the Walnut Room at the Hotel Northland. 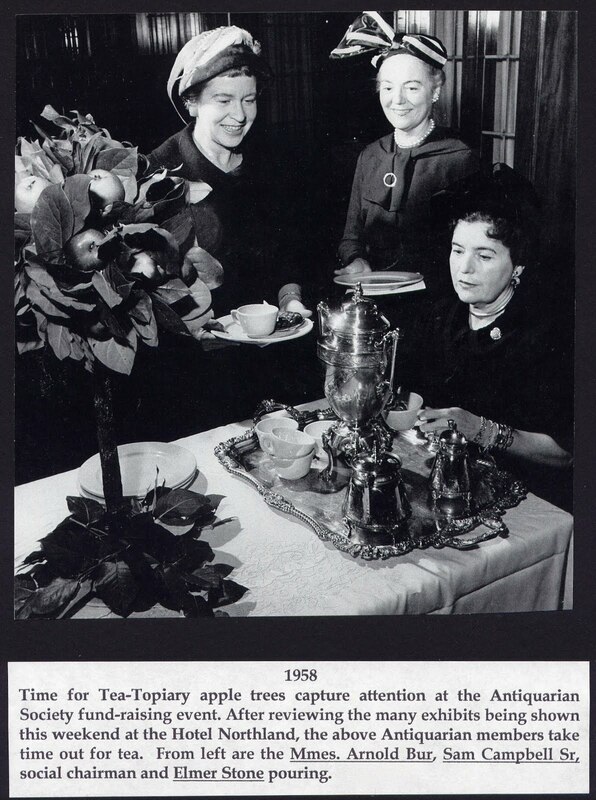 It was chaired by Mrs. E. F. Hasbrook and J. B. Gueinzius. 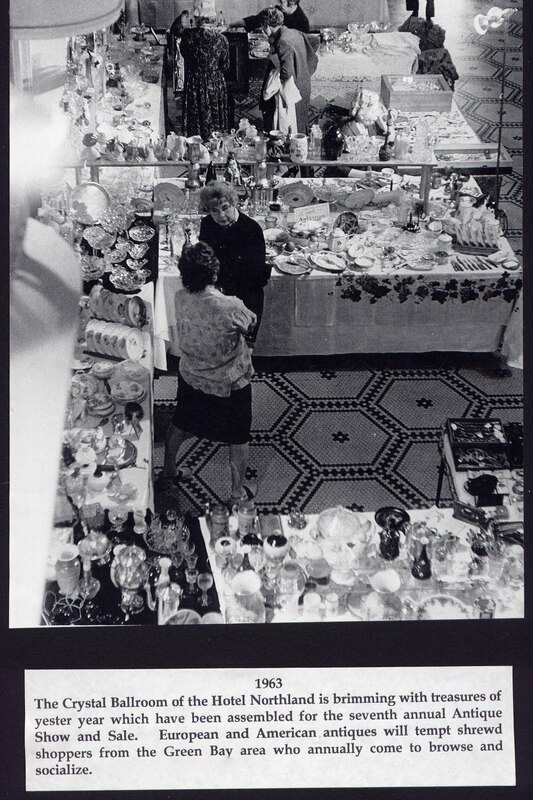 That first show featured six dealers. Admission was 50 cents. The show remained in the Walnut Room for the first three years, and then expanded to the Crystal Ballroom from 1960-1968. Each show was titled a different theme: “Gems of Antiquities”, “Romantic Past”, “Lavender and Old Lace”, “Treasures of Old”, “Heritage Harvest”, and “Vintage Vignettes”. 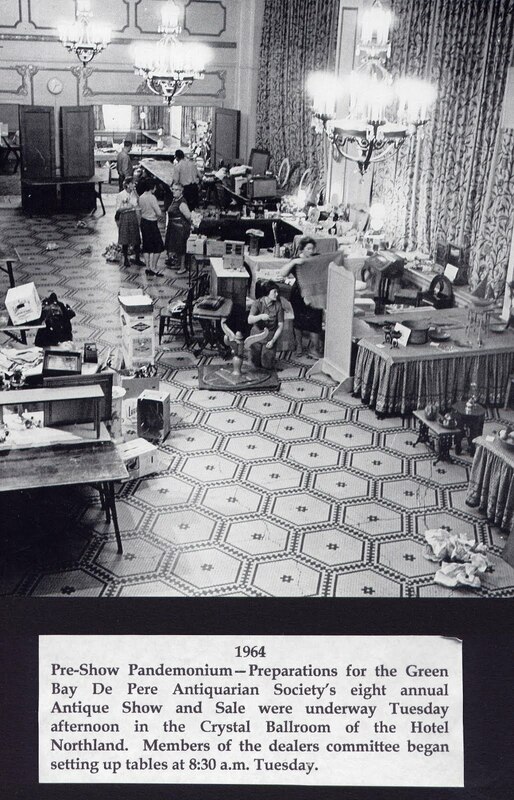 In 1969 the show, named “Old Green Bay Days”, moved to the Riverside Ballroom and stayed at that site until 1984.